We all hate having to get out of our truck to do open a gate in the 100+ heat of the Texas summer, when its pouring rain, or when its cold. We want our customers have the best experience when they get home from a long day. Our home is where we want to get away from everything and relax. Having an automatic gate system will help relieve stress from the working all day. 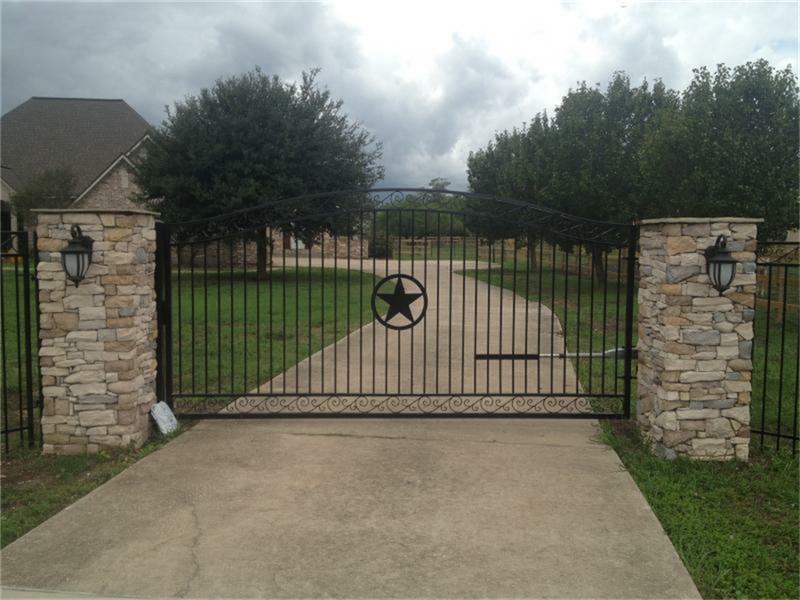 Whether you need a whole new gate and automatic gate system or just need an automatic gate system installed, we can help you through the process of making sure you have the best one that fits your needs. We use best automatic gate openers in the industry like Apollo gate systems. Are you wanting to have extra security added to your new automatic gate opener? We can install a security system to your gate, it will make you feel more secure when you are home. Having a security system added can lower you home insurance as well. Security systems can include cameras, wireless entry, telephone entry and more depending on your needs. These systems can also be installed on commercial gates. Automatic Gate Systems on commercial properties, could help you make more money in the long run, people love having extra security and privacy while they are there or with their personal items. We can install on any type of gate or install a new gate for you. We will deliver professional results while also completing your project on time and budget. Whether you need an automatic gate opener or a security system, we will guide you through the process to fit your needs. Let us help you add security and privacy to your property. Call us today at 817-382-4614. Feel free to fill out the form on this page to get a quote from one of our professional staff.